Find the best wireless router for your home or office. Sick of patchy WiFi and slower-than-expected internet speeds? Your router could be the culprit. We've tested 12 store-bought routers and 10 ISP-supplied models to assess their WiFi performance and security, plus how easy they are to set up. Bottom line: This mesh router has poor WiFi performance, with only the 5GHz being even OK. While it gives good fibre speeds, the slow wireless and very noticeable interference from obstructions (5GHz) will leave you annoyed. Bottom line: This dual-band router offers excellent direct fibre speeds, though its 2.4GHz network speeds weren't the best. The overall WiFi performance was good though, due to an excellent 5GHz signal. Bottom line: While it may seem like a bargain we don't recommend you pick up this TP-Link router. All of the performance scores are very poor and and its 5GHz suffers noticeably from obstruction interference. Bottom line: This dual-band router's WiFi performance is not good. The 5GHz performance is poor and has very noticeable interference. The fibre speeds are also very poor. Bottom line: While this mesh router is dual-band you can't specify which WiFi signal you're connected to, so it will just choose the best. It has very good fibre speeds and very little interference from obstructions on the 2.4GHz network. Bottom line: While it may seem like a bargain we don't recommend you pick up this Netgear router. All of the performance scores are very poor and you may find yourself frustrated at the speeds. Bottom line: When we asked our testers which router they’d buy after this test, they said the Synology. It has excellent security and fibre speeds. The router is very good at channel switching and its 5GHz network is excellent. It has four external antennas and is fairly large, which means it may not fit with your décor. Bottom line: This ASUS dual-band router is OK. Its WiFi performance on both bands (2.4 and 5GHz) is just OK. Its direct fibre speed is poor though. Bottom line: It has excellent security and the second-best score for fibre speeds. The router is good at channel switching and its 5GHz network is excellent. Its built-in software is geared towards high-speed online gaming, so will easily handle day-to-day home traffic. Bottom line: While this mesh router is dual-band you can't specify which WiFi signal you're connected to, so it will just choose the best. It has good fibre speeds and very little interference from obstructions on the 2.4GHz network. Bottom line: This dual-band router does well on most things. It has a very good 5GHz WiFi network and offers very good direct fibre speeds. An all-round decent router. This report is free thanks to a donation from Chorus to The Consumer Foundation. This work meets the Foundation’s objective to support and fund education and research projects promoting consumer welfare and awareness. Our latest technology reliability survey found 88% of respondents used the router their ISP provided. With that in mind, we asked 8 major ISPs (2degrees, Flip, MyRepublic, Orcon, Slingshot, Spark, Trustpower and Vodafone) to send us the routers they provide to customers so we could test them. Voyager was changing its routers at the time of testing. These routers were tested in a different system to our store-bought routers, so the scores are not directly comparable. However you can get a good idea of their relative performance. There are 2 major factors that affect the speed your wireless router can achieve: the incoming connection and the outgoing WiFi. Incoming speed depends on your type of connection, how far away your roadside cabinet is, and plan limits. Outgoing WiFi speed depends on the size of your home, if it’s multi-storey, and interference. If your router’s outgoing WiFi speeds are slower than the incoming connection, then the router is throttling or slowing down your speeds. For an explanation of speeds, bands and standards, see our article on getting faster internet. Fibre is currently capable of speeds up to one gigabit per second (Gbps), but it’s usually closer to 900 Mbps. So we recorded the direct speeds from the routers and used that as a percentage of 900Mbps. For routers that couldn’t connect directly to fibre, we passed the signal through the Synology RT2600ac, which gave us close to 1Gbps. For mesh network models that came with multiple devices, we tested the main unit only and didn’t test the signal between nodes. We measured WiFi speeds at 4m and 10m from the router. A router and laptop were placed in line of sight from each other. We averaged the speeds from both distances and rated them compared to the speeds expected for the WiFi standards they were using. We calculated the speeds, in megabits per second (Mbps), by using online speed-testing tools on a laptop connected to each router. We repeated the test three times on each band (2.4GHz and 5GHz) and at each distance. We assessed how easy it was to set up the router. Our test looked at whether there was a quick-start wizard, how long set-up took, and what information was provided to help. We performed a series of common tasks in the router’s admin interface. These tasks included monitoring and managing network access and changing default settings – service set identifier (SSID), network key/password, encryption and WiFi protected set-up (WPS) settings. We also looked at the port and button locations, as well as labelling and indicator light visibility. For a rundown of common terms and acronyms, check out our Glossary below. Finally, we looked at advanced functions such as modifying guest networks, locate virtual private network (VPN) and managing attached external media. We also assessed each router’s parental control tools and how easy they were to find. The router is your gateway to the internet, so its security settings are important. Our security assessment included whether the networks were encrypted, how easy it was to identify them by SSID, and the security of the network key/password. Many routers also have separate networks for guest use, so we also assessed their encryption and network key/password security. The Norton Core router is a special case. It’s the only router that comes with a full built-in security suite and actively scans your traffic for malicious code. However, this type of security isn’t assessed by our test method, so it got a lower-than-expected security score. 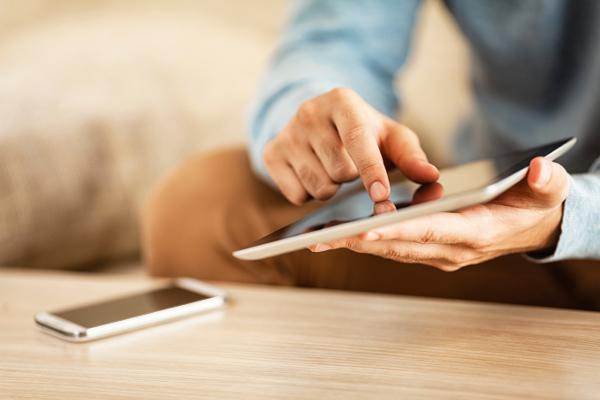 The walls and doors in your home can degrade a WiFi signal, resulting in slower speeds. To find out how much, we built a wooden box to simulate the construction of a single internal wall and placed it over the routers. The 5GHz band, while a stronger signal when unobstructed, is more likely to suffer from this kind of interference. Our testing showed most routers had minor speed loss, averaging 15 percent loss on the 5GHz band, while the greatest loss on the 2.4GHz band was just 10 percent of the unobstructed speed. Overall, obstructions weren’t a big problem for any router. Centre stage: Don’t put your router out of sight in a cupboard. Placing it centrally in the house, out in the open, will help keep your speed high. Flip the switch: Some common household appliances (such as microwaves) operate on the 2.4GHz network band, which can interfere with your WiFi. An easy fix is switching your devices (such as laptops or phones) to the 5GHz band network. Change the channel: Both network bands operate on a range of channels. Changing to a less cluttered channel results in better reception and faster speeds. Most routers automatically do this, so we used our WiFi-congested office, which has more than a dozen wireless networks operating simultaneously, to test how good they are at it. Most of the routers are sold as a system. The system comes with three nodes in the pack but you can buy more to expand the network. The nodes are all the same but one will act as the main unit and needs to be connected to a modem, as it can’t be plugged directly into the ONT. The difference between this set-up and using a WiFi repeater is that mesh devices create a single network (so only one SSID), whereas repeaters set up their own network (multiple SSIDs). So as you walk through your house your devices aren’t switching between networks or trying to connect to a weaker signal. If fibre isn’t an option for you right now, there’s a new technology promising better speeds on VDSL. On copper lines the internet signal suffers from interference that affects speeds. To combat this, Chorus is rolling out “vectoring” to roadside cabinets. This technology works in a similar way to noise-cancelling headphones (a signal for cancelling interference is transmitted along the line, which means your internet connection comes through clearer and faster). Most VDSL routers in New Zealand support vectoring. Fibre is the quickest and simplest broadband to set up on a router. When fibre is installed in your home, you will have an ONT (optical network terminal) box attached to a wall. This is then connected to your router’s WAN or internet port with an ethernet cable. If the port isn’t clearly labelled, check your router’s documentation or contact your ISP. ADSL and VDSL connections require more setting up as they need a username and password, and some advanced settings to be changed. ISP-supplied routers should come with these details already set up. If not, contact your ISP. The next step is connecting your devices to the router. There are 3 main ways to do this. Manually: Open the WiFi settings on your device and look for the network SSID. Once you find it, click connect and, when prompted, enter the network key/password. Use WiFi Protected Set-up (WPS): Press the router’s WPS button, find the network on your device and click connect. You don’t have to enter a password as the router allows any devices to connect for a short period after the button is pressed. Manual WPS: If the router doesn’t have a WPS button but is WPS-enabled, you’ll have to enter a PIN. This is usually located on the bottom of your router or in the documentation. Routers will often be sent from an ISP or manufacturer with a default SSID (Service Set Identifier) that includes their name (for example, vodafone1234567). Using the default SSID can pose a security risk as it’s easier to identify the make and model of your router. To minimise the risk of someone guessing your WiFi and admin logins, change your network’s SSID, network key/password and admin password. When information is being transferred to or from the internet, it’s at risk of being intercepted, so all routers should use secure encryption to disguise the data. The common encryption types are WPA2-TKIP (WiFi Protected Access – Pre Shared Key 2) and WPA-PSK (WiFi Protected Access – Pre Shared Key), but an older version called WEP (wired equivalent privacy) is still used by some devices. This older encryption is not a secure option. If your router is using it and you can change to a more secure version, then do! Some routers come with a built-in firewall or antivirus. While many devices, such as laptops and phones, also have these features, you shouldn’t view the router’s firewall or antivirus as a replacement. Think of them as an added layer of protection. If you have an issue with your internet provider and haven’t been able to resolve it with the company, you can take it to the Telecommunication Dispute Resolution service. TDR’s members include 2degrees, CallPlus, Compass, Flip, Now, Orcon, PrimoWireless, Skinny, Slingshot, Snap, Spark, TNZ, United Networks, Vodafone, Woosh, Conversant, Bigpipe, Chorus, Enable, Northpower Fibre, and Ulrafast Fibre. Note the TDR can’t consider complaints about companies that are not part of the scheme. What's the difference between a router and modem? What’s the difference between a router and modem? A modem only connects your house to the internet. A router routes the traffic coming in and out of your home as well as between devices. Routers have physical and wireless connections. 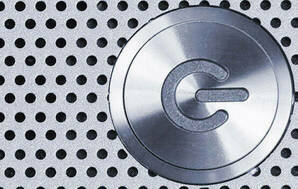 A device that’s both a router and modem is sometimes called a gateway. What’s the difference between the 2.4 and 5GHz bands? WiFi commonly transmits over two radio frequency bands, 2.4 and 5GHz. The 2.4GHz band is a strong frequency that can reach further than 5GHz, but it can also be a busy band as devices such as microwaves and cordless phones use it. Mobile devices using Bluetooth also operate on this band. The 5GHz band is less cluttered as it’s generally only used for WiFi, so this results in less interference, which in turn means a stronger signal and faster speeds. This also means it can use less power, which can lessen the drain on a device’s battery. The ability to broadcast both bands at the same time (dual-band) means you can keep devices on separate networks if needed (for example, a family network and a guest network), so a dual or tri-band router gives you the best speeds. What are the 802.11 b, g, n and ac standards and can you use more than one? You may have heard of the 802.11 b, g, n and ac, these are standards that have been set so wireless devices can talk to one another over WiFi. Each WiFi band can have a different standard, ac is the latest and fastest standard for the 5GHz band, while n is the latest for the 2.4GHz band. Tri-band routers often use more than one wireless standard at a time, such as “n” on the 2.5GHz band and “ac” on the 5GHz bands. This is why you sometimes see a router listed as using 802.11n/ac. For more on the individual standards, see our jargon buster below. How far will my home WiFi network reach? This depends on several factors, such as the layout of your home – for example, a WiFi signal in a multi-storey brick dwelling can struggle to cover the entire home as walls and floors interfere with the signal. Don’t put your router out of sight in a cupboard. Having it out in the open will help keep your speed high. If your WiFi isn’t reaching as far as you need, a WiFi range extender can help boost the signal and cover the dead spots. There are different kinds of extender – some can even send a signal via your electrical wiring. What is the difference between and internal and external antenna? 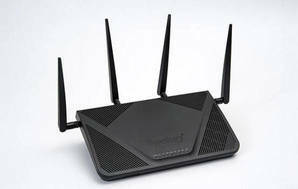 Routers have two types of antennas, internal or external. An external antenna can be adjusted to face connected devices and improve the signal strength. Internal antennas are housed in the router case and are usually in a pattern to optimise signal strength, such as a grid or a pyramid. There is little to no performance difference between external or internal antenna. Beamforming is one way routers can transmit the wireless signal. When a router transmits a signal, the “beam” gets wider the further it gets from the router. As the beam gets wider, it becomes weaker. A router using beamforming can detect where a connected device is in relation to the router. The router then narrows the signal beam in this direction, meaning the device gets a stronger signal. The terms modem and router are often used interchangeably when referring to home WiFi equipment. Both can receive an internet connection (ADSL, VDSL or fibre) and “route” this connection throughout the house wirelessly. Megabits per second. Data transfer speeds are measured in Mbps (sometimes also written as Mb/s or Mbs-1). A thousand Mbps is a gigabit per second (Gbps). Firmware is software installed on a piece of hardware while it is still in the factory. This software is what runs the hardware components. Users can update to replace this software at a later date, but often devices are left with the standard firmware. A tri-band router uses a 2.4GHz network and 2 separate 5GHz networks. Having 2 5GHz networks effectively doubles the capacity of the 5GHz band. Tri-band routers often have a feature called smart switching, which allows the router to distribute the workload over both 5GHz networks. WPS (WiFi Protected Set-up) is a shortcut for connecting devices to your router. Press the WPS button and devices can connect without a password for a short period of time. LAN (Local Area Network) is a network created by connecting devices with cables. WiFi and WLAN (Wireless Local Area Network) are names for the wireless version of a LAN. If your router has a WLAN or WiFi button, this will turn the wireless network on and off. WAN (Wide Area Network) covers a much larger area than your LAN or WiFi. Many routers use WAN to refer to the fibre connection, so when you’re connecting the cable from your ONT (optical network terminal) box, look for a WAN or internet port. DSL (Digital Subscriber Line) is the technology used on ADSL (asymmetric DSL) and VDSL (very high bit-rate DSL). It is the basic broadband technology in New Zealand. USB (Universal Serial Bus) is a type of wired connection. If a router has a USB port, it will likely support media sharing of a USB storage device or the sharing of 3G/4G internet (pass-through). 3G and 4G are types of mobile communication used in most smartphones. A 3G/4G USB hotspot device can be connected to some routers. Ethernet is a common type of wired connection. Most routers will have at least 3 Ethernet ports for devices to connect to. On many routers there may be a light labelled “internet”. This indicates if your connection to the internet is “live”. If this light is solid or flickering, you are connected to the internet. If not, contact your ISP. VOIP (Voice Over Internet Protocol) is where an analogue phone signal is converted to a digital signal so it can be transferred the same way as your internet traffic. VOIP is the common phone line connection for fibre-connected homes. These are a standard by which wireless networks operate. There are a number of standards and they are set by the Institute of Electrical and Electronics Engineers (IEEE). They are based on the original standard called 802.11. This original standard only supported bandwidths up to 2Mbps. The next wireless standard update is due for release this year. It is called 802.11ad (also named WiGig). It has a claimed bandwidth speed of 7Gbps (gigabits per second). These speeds are theoretical maximums. In reality, routers are more likely to reach speeds 50% or less than these. Multiple-input, multiple-output. A feature that lets you send and receive multiple signals simultaneously over the same channel. The optical network terminal. The point inside your home where the fibre comes in. It’s usually a small white box with flashing lights. This is what you plug your router into to connect to the internet. The name of your WiFi network. It’s a good idea, for security, to change from the default one and create a unique one. Fibre refers to the fibre-optic cable used to transmit data. The information is sent via pulses of light, much faster than over copper wires, hence the term “ultra-fast broadband” or UFB. A virtual private network can hide your identity and location. These can be either separate programs that run on your devices, or added as part of your router’s software.